I can’t speak for what other auto brand enthusiasts are doing to “hack” their cars, but Volkswagen and Audi owners have some fantastic options. 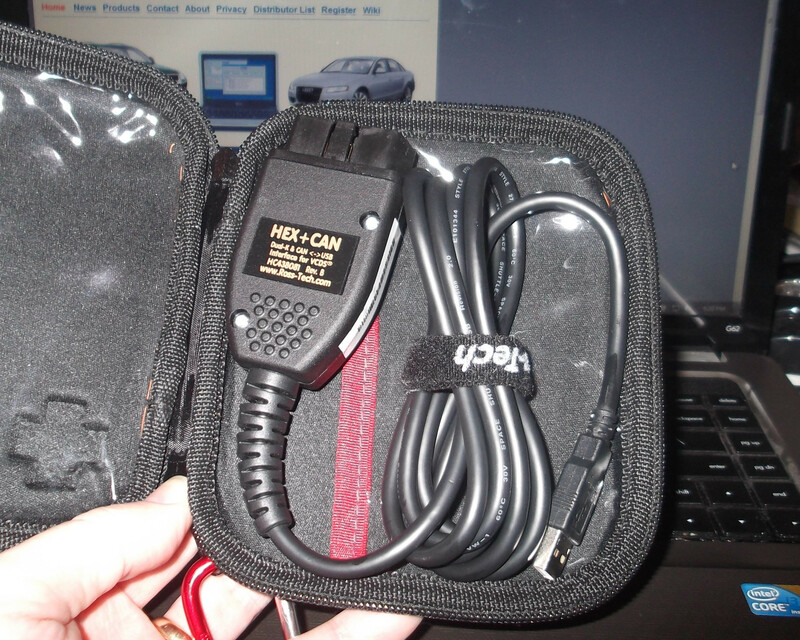 An enthusiast named Ewe Ross (Ross-Tech) backwards-engineered a VW/Audi dealer diagnostic scan tool into something for enthusiasts. I was one of his beta testers in 1999 and have one of his more capable tools today. 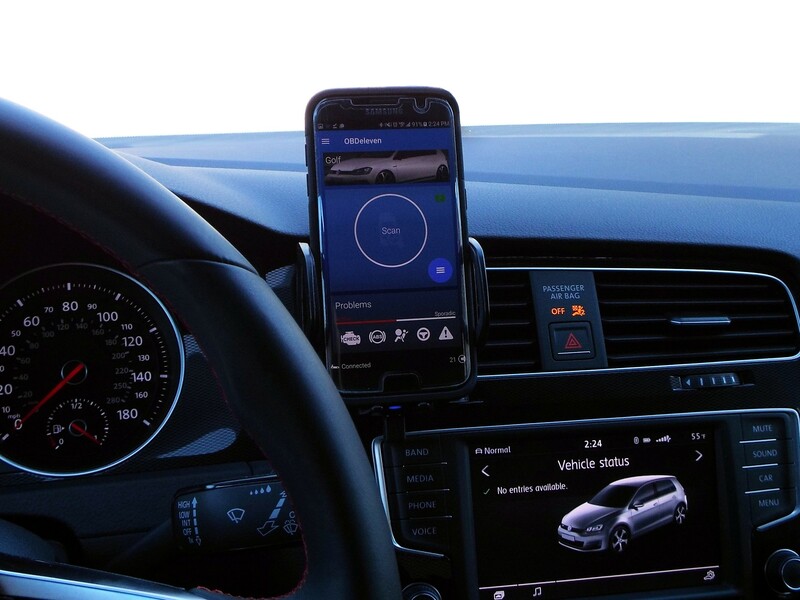 You may be wondering, “Why not just buy a generic scan tool?” VW/Audi has used a proprietary diagnostic protocol that provides more information and scans FAR more modules than just the emissions-related items that were mandated by OBD2 in 1996. In fact, VW had the FIRST on-board computer system with scanning capability way back in 1968! VW/Audi complied with the federal requirement to have OBD2-compatible codes by 1996, but they also kept their more-thorough diagnostics system (and continually improve it). Ross-Tech was the first to bring it to the people who prefer to avoid being fleeced by their VW/Audi dealers. When I first bought VCDS, I was only interested in reading and clearing diagnostic trouble codes (DTCs) without having to drive 50 miles to my nearest VW dealer. Today, VCDS and other tools bring far more capability, thanks to the marvels of modern automotive technology. 1) Disabled the horn beep on lock – The horn “confirmation” is annoyingly loud, especially late at night when coming home to a quiet neighborhood. Killing this feature before the car’s first evening at home was a top priority for me. 2) Disabled “DRL wink” when a turn signal is active – I don’t know why I dislike the “DRL wink” so much. Perhaps it’s because it makes the car look like a bulb has failed when a blinker is on; or perhaps it’s because it’s neither functional nor necessary. Regardless, I was glad to learn that I could restore proper function of the DRL. 3) Convenience windows with remote – I’m not sure why this feature isn’t active from the factory. I’m not one to forget to roll up my windows. So why do I need to use my window controls via remote control? I find its greatest use on hot days. It’s convenient to roll down the windows as I approach the car. Those first ten seconds are great for letting the initial blast of really hot air out of the car before I get in. 4) Emergency brake lights under hard braking – The brake lights work normally the vast majority the time. But they make sure traffic behind me gets the message that I’m stopping HARD. See this video for a demonstration. 5) Disabled comfort turn signals – This feature allows drivers to simply tap the blinker stalk for a lane change. From the factory, the turn signal will flash three times, just long enough to change lanes. Some people like to extend this convenience to five flashes. Personally, I like to signal a little longer than the factory-set three seconds. I tried five flashes in my Mk6, but I found it inconvenient on occasions when I bumped the stalk and then aborted my lane change for one reason or another. Five seconds is a long time to signal a lane change that isn’t going to happen. As a result, I’ve disabled the feature completely. I’m perfectly capable of holding my blinker stalk for a few seconds. 6) Disabled seat belt warning chime – The seat belt warning is annoying. Everyone in my family is a habitual seat belt user; the car doesn’t move unless everyone is wearing one. 7) Deactivated some factory safety blocks – My car came with safety features that prevent users from making changes to certain MIB2 settings when the car is moving. I can understand the reason for them being there, but there’s no reason for keeping my passengers from exploring them. I removed these blocks. 8) Disabled the cross-differential system (XDS) – XDS uses ABS to redirect torque from a slipping wheel to one with traction. That feature can create some wheel hop on cars equipped with the Performance Package. It also adds wear to the brake pads. Disabling XDS allows the Performance Package’s electronic differential to act fully on its own. 9) Retain seat heat setting – This ensures that the seat heater stays at its last setting between restarts. To be honest, this car doesn’t need this feature. The seat heat is so effective with cloth seats that I usually turn it off within five minutes of turning it on. 10) Disabled auto unlock – From the factory, the doors would automatically unlock any time the ignition is turned off. When I park, I usually sit for minute or longer with the engine off and listen to music. I’m not ready to unlock the doors at that point. Now my doors remain locked until I open them from the inside. 11) Activated “mirror dip” – With “mirror dip” activated, the passenger door mirror aims down when in reverse gear to allow the driver to see the right rear wheel during backing. This is particularly useful when parallel parking, being able to see the curb and avoiding the dreadful “curb rash” on the wheel. The mirror automatically returns to its normal position when the engine is turned off or when the car’s forward motion exceeds 10 mph. 12) Cluster lighting with parking lights – To combat inattentive drivers who neglect to turn on their lights at dusk, VW installed a sensor in the cluster that dims the cluster lights as the outside light decreases. The idea is that drivers will remember to turn on their headlights if/when they cannot see their speedometers. This annoying feature dims the cluster even when it’s unnecessary, such as when driving between tall trees. Cloudy days can affect the lighting, too. It’s even worse if the windows are tinted. Turning on the parking lights kills the cluster lights completely. With this mod, I can now turn on the cluster lights by placing the headlight switch to the parking light position. My DRLs are still operational and will suffice in less-than-bright conditions. 13) “Freed” the Adaptive Frontlight System (AFS) – AFS is a really cool feature. The lights steer and change according to certain conditions. However, there’s a North American Region (NAR) restriction applied to American cars that limits the extent of the headlight movement. Removing this restriction has freed the lights to act as they were originally intended. Watch this video for a demonstration. See this video for the full procedure. 14) Altered the “ice warning” – (Adaptation did not work; seeking proper security code) – My problem lies with HOW this feature works. First, I’m usually already aware of when it’s cold outside. So the feature seems pointless unless I’m on a long trip that takes me from warm weather to really cold weather in the span of a couple of hours. Second, the warning sounds as the temperature REACHES 39°F (4°C) from either direction. That means that I can go outside, scrap ice from a frozen car, start it, get no ice warning, and then be startled an hour later when the sensor temperature rises to 39°F. That’s DUMB. I cannot completely disable this feature, but I’d like to be able to lower the temperature at which the warning sounds from 39°F to 16°F (-9°C). It’s not perfect, but it’s far less annoying in my region. 15) Adaptation of fuel consumption display – The “economy” display on the dash is notoriously optimistic. This is the case on most cars. Engineers want people to be “happy,” so they fudge the display a little to make people feel good about their fuel economy (my opinion). My display often read about 4-mpg higher than my real fill-up average. I set my consumption value to 110%, which resulted in the dash displaying a lower value. I have since fine-tuned it to 106%. 16) Cloned inner tail lights – This is similar to the “five brake light” mod, but goes a step further by having the inner tail lights behave identically to the outer tail lights. High-level illumination of the inner tail lights on the hatch are not activated on North American cars (mine weren’t, anyway). They just act as additional low-level tail lights in the U.S. Programming them to mimic the turn signals increases visibility toward drivers who are becoming increasingly inattentive in the United States. That’s what I tell myself, at least. 😉 See this video for more details. 17) Third brake light with lock/unlock – This is a minor convenience mod that simply flashes the center brake light when the doors lock or unlock. Sometimes I forget whether my doors are locked. By the time I remember, I usually can see only the top of my car. With this mod, I can press the lock button on my remote and see the lighted confirmation from a distance. 18) Doors lock with engine running – I don’t have frequent need to lock my doors with the remote while the car is running. I suppose it can be handy for drivers who want to lock the doors with the A/C or heat running for a sleeping passenger or pet. Who knows? I activated this feature simply because it’s available. There are a few other popular mods, but my GTI already had them activated from the factory. Examples include cluster sweep and carbon fiber cluster overlay. Pretty awesome. Still in love and amazed the day I was able to put my key in the drivers door and put up, or down all the windows at once. Loved it. Thanks for these. Just got my UK MK7.5 GTI performance and have already applied the Scandinavian DRL mod, plus shutoff the Soundaktor completely via ODBeleven. Now I just hear the nice exhaust note from the back of the car! The window opening with key fob feature was enabled as standard, as it has been on all my VAG vars here in the UK since 1999 (my first MK3 Golf). Odd that it’s not in the US. The feature even opened and closed the sunroof on my MK3 Golf (no AC!). UK cars also don’t sound the horn on lock (how neighbours would hate us if they did!). I think I will also disable the DRL wink on turn signal. I only noticed that was enabled when signalling in traffic and I could see the front of my car reflected in the back of a van in front. Great list of mods! One question, for the mods that are not in OBD11 Apps list can I use long coding with the OBD11 Pro? If so, where did you find the long coding for, “Freed” the Adaptive Front light System (AFS), If its in the list of apps I apologize as as I don’t have my tablet with me to verify. Do you know if there is anyway to increase the time that the car will automatically hold position in a lane on the highway? Love this feature. but it gives me the warning to put hands on the wheel after 25-30 seconds. How did you do No 12, 12) Cluster lighting with parking lights ? I have ODB11 unit.